“Hamilton” is expanding its lottery program for Halloween night. The Broadway show will play an 8 p.m. performance on Oct. 31 in which all available tickets will be sold for $10 via digital lottery. Traditionally, the $10 tickets are available for the first two rows of the house. 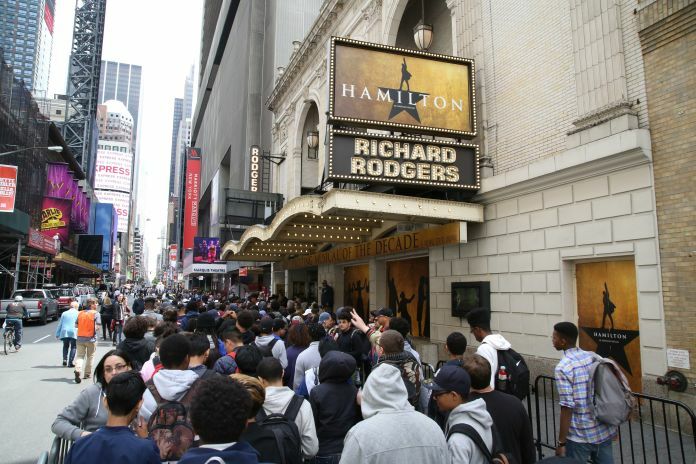 With a capacity of 1,321 at the Richard Rodgers Theatre, the show will sell “in excess of 1,300 tickets” for $10 for that performance, according to a press representative. The cost of the $10 tickets is not being underwritten, but rather is provided by the show. “We announce with great pleasure today that tickets to ‘Hamilton’ on Broadway will be sold for $10 as a Halloween treat to our fans,” lead producer Jeffrey Seller said in the press release. In addition to the lottery news, Seller announced that Denée Benton, a Tony Award nominee for “Natasha, Pierre & the Great Comet of 1812,” will join the cast as Eliza Hamilton, and Carvens Lissaint, formerly a standby in the company, will take on the role of George Washington. Both begin on Oct.30. Lexi Lawson and Bryan Terell Clark, who currently play Eliza Hamilton and Washington, respectively, will play their final performances on Oct. 28.